Having a baby is exciting, especially for the first time when everything is new. Preparing for a new baby can be equally as exciting when it comes to pregnancy announcements, gender reveals, and decorating the nursery. But the one thing that most first-time mothers forget is, how to financially prepare for maternity leave. Imagine your baby in a warm and nurturing environment entering into a cold and unfamiliar world. His attachment to you during this time is crucial as you help him transition into the new world. The optimal time for this transition phase is typically 12 weeks (also known as the Fourth Trimester). However, some mothers find themselves needing to return to work too early due to financial constraints. This post may contain affiliate links which means that I earn a commission if you make a purchase through the links provided. Please see my disclaimer page for more details. Currently, the United States has what is called FMLA (Family and Medical Leave Act) which was introduced in 1993. The FMLA entitles working mothers job security for up to 12 weeks for the birth of her child and to care for that child. FMLA offers job security, period. No money, no cash, no benefits. What job security means to you is that your employer cannot fire you for reasons related to your pregnancy, birth, or the need to care for your baby. Because of this, many mothers find themselves returning to work early, needing to rely on government assistance programs, or they end up digging themselves into heaps of debt. This doesn’t have to be you, mama. Here are some proven ways you can afford an unpaid maternity leave. Get Free Mom and Baby Samples Today! If you don’t want to go back to work early, apply these tactics to make the most of your maternity leave. There are many factors that determine how much you will need to financially prepare for maternity leave. First, determine how much it will take to replace your salary for the amount of time off that you want to take. Then, add the estimated cost of labor and birth. Don’t negate the cost of newborn essentials like diapers, wipes, and feeding items. Do you know how much it will cost for labor and delivery? If you can estimate the amount you will pay, you will be better prepared financially. I highly suggest you contact your insurance company and provider to get an estimate of how much it would cost for labor and delivery. This will vary greatly by the type of birth, your doctor, the place you give birth, and your insurance coverage. 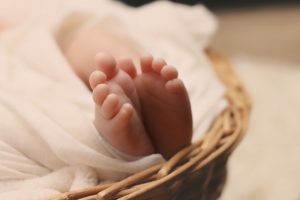 While a vaginal delivery in home with a midwife may be the most cost efficient option, it may be wise to plan for a hospital stay. If you cannot get an estimate, ask your coworkers if they would be willing to share their costs with you. Even a ballpark range with someone in your community with the same insurance provider will help you prepare. Read: The Shocking Cost of Having a Baby in the U.S. Babies really don’t need much in the first 3 months. All they need is food, a place to sleep, diapers, wipes, and some clothes. Everything else is convenient. Take advantage of your baby shower and request the things you will need that are practical. If you stick with the basic essentials, you are bound to save a ton of money. Short Term Disability is one the easiest ways you can continue to get a paycheck while you are out on maternity leave. It typically pays two-thirds of your paycheck for 6-8 weeks. 6 weeks for a vaginal delivery, 8 weeks for cesarean deliveries. Here are 4 ways to get short term disability. First, some employers offer STD to all their employees whether they need it or not. This is a taxable benefit for all eligible employees. Check with your HR department to see if your company offers STD and if you are eligible. Second, for companies who do not offer STD automatically, you may have the option to purchase it during open enrollment. If you plan to have a baby in the following year, make sure to elect STD during this time. Otherwise, you won’t be covered. Pro tip: If you know you are going to have a baby in the coming year, choose the STD option with the least waiting period. It is typically more expensive but it will give you more money in the long run. If your plan pays for 8 weeks, and your waiting period is 14 days, you’ll only get paid for 6 of those 8 weeks. Third, just like the marketplace offers private party insurance, you can purchase private party short term disability as well. Almost all companies require coverage BEFORE you are pregnant. So make sure you plan accordingly. Lastly, few states mandate paid maternity leave as a state benefit. California, New Jersey, Rhode Island, and New York are the only states that offer paid maternity leave. Now excuse me while I write a letter to our congressmen and women to get with the program. 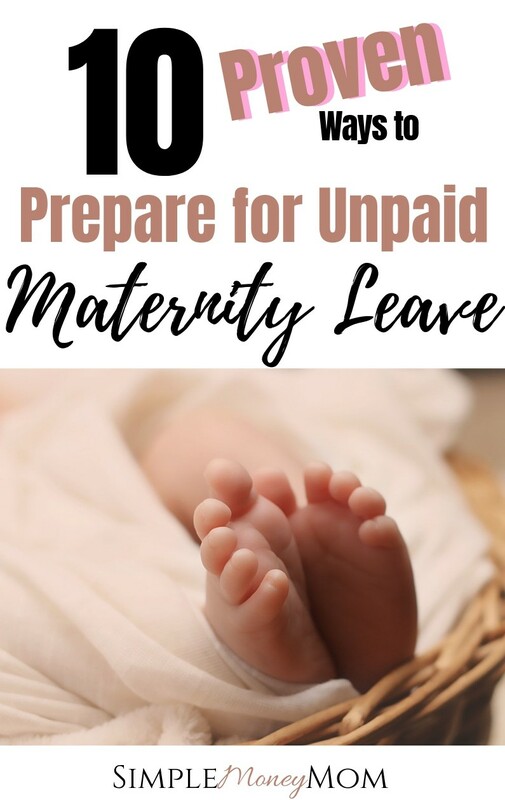 Paid time off is a wonderful way to financially prepare for maternity leave. This means that you will get a paycheck even when you do not physically go to work. To take a full paid maternity leave, you’d need 480 hours of PTO (if you work 40 hours/week). However most companies cap your PTO off way below this. So, save as much as you can. Avoid using PTO unless you really need to. Check to see if your company allows accrual of PTO while on maternity leave, then you can use that as well. Having a health savings account to help you financially prepare for maternity leave is one of the best decisions you can make. Contribute as much as you can into an HSA account. Why? These are pre-tax dollars. If you know that you will be using them, then why not contribute and save on taxes? Ask your provider what the max contribution is per family, then use your HSA to pay for your medical bill in full with your pre-tax dollars. You may want to consider halting your contributions to retirement, especially if you are struggling to find money by other means. I wouldn’t normally recommend halting contributions to retirement, especially if it is a small amount. However, if you are on a really tight budget, it may be an option for you. This is only temporary and you can restart after your baby is born. Just make sure you restart payments again when you return to work. It can mean a lot of lost retirement revenue for you. If you don’t want to stop contributing entirely, consider reducing the amount that you are putting into retirement. Most employers will pay time and a half for their employees who work extra. This can add up if you’ve got the time and aren’t feeling horrible yet. Consider this option during your second trimester, when your energy returns. Go through your home and get rid of things you don’t need. Sell them at a garage sale, or list them on online sites like Craigslist, Facebook yard sale pages, or eBay. You can even utilize Apss like Mercari, OfferUp, and LetGo. One woman’s junk is another woman’s treasure. You’d be surprised at how much you can sell by getting rid of unused makeup or used kitchen appliances. If you haven’t already, sign up for Amazon Baby Registry. When you sign up and complete your first purchase from the registry, you’ll receive a welcome box filled with freebies. I scored an Avent bottle, a Muslin swaddle blanket, and a cute onsie in addition to sample sizes of other things like diapers and wipes. If you want FREE mom and baby samples, Everyday Moms Sampling Club has a FREE subscription and monthly samples mailed to your door! Register Here. If you want FREE diapers, Everyday Family also has a FREE subscription to sample diapers. Register Here. Other registries that you should sign up for is BabiesRUs, Target, and BabyList. Each of these baby registries offer freebies when signing up and making a purchase. In conclusion, there are many ways you can financially prepare for maternity leave. You deserve to be home longer with your baby. Don’t let financial burdens destroy your time with your newborn. Implement these tips today and if you have found this article helpful, please consider sharing. If you enjoyed this, please consider sharing! These are all great tips. No one likes to have money stress especially not with a new baby. 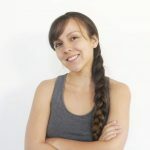 There are a lot of things you can do without to make your house and baby just as happy (sometimes, I think all the extra stuff we think we need just makes us feel cluttered and overwhelmed anyway). I think so too. As a mom of three, we have definitely gotten by with less stuff. These are great tips! I just found out I am expecting #5! So I am doing all I can to prepare financially! Sell, Sell, Sell is my number one goal right now! Thank you Natasha! I hope you sell everything that you want to. Sending money vibes your way! This is so important! There are so many ways you can save, I love that you included the amazon freebies they were great! Thank you! Yes, you can get so many freebies from creating baby registries. Any little bit helps, right? This is such a great article! I especially love the part about having a minimalist baby!. I often find that so much is left unopened or unused when looking back, and babies grow so quickly! Great ideas! I like your point about having a minimalist baby. There are so many ways to save by just realizing that baby’s can be low maintenance when it comes to the stuff. They don’t need much stuff. Thanks Sarah, you can definitely save lots of money by not purchasing so many items for a baby. when I had my son in 09 I got 6 weeks paid, 6 weeks unpaid, which then as a teacher, took me over to summer break. I thought that was just the norm, not realizing how generous this all was! I think you can do alot of “free” stuff while on mat leave. put the kid in the stroller, go for a long walk, host another mom over for coffee stuff like that. That’s awesome that you got 6 weeks paid leave. Yes, there are so many free things that you can do with baby in those first few months. Heck, there are a lot of things that you can do even if they are older. These tips are soooo helpful! I could see how these would be great options. My husband and I are planners. We had saved ahead way before our babies came along. With my last child, we also signed up for an AFLAC policy through my work a few months before we started “trying” for a baby. Then, we cancelled the AFLAC policy during the next open enrollment following baby’s birth. That worked really well for us. We paid a couple hundred dollars in premiums but received over a thousand dollars for our child birth claim. That plus our short term disability plus some savings really helped a lot financially. Thank you April! I didn’t even think to utilize AFLAC if it’s available to you. What a great way to prepare. It’s crazy how much having a baby is. Thank you for sharing how you were able to financially prepare for maternity leave.